When Revealed: Until the end of the phase, add X to the total in the staging area. X is the total of all locations to the left of the active location (in its row). 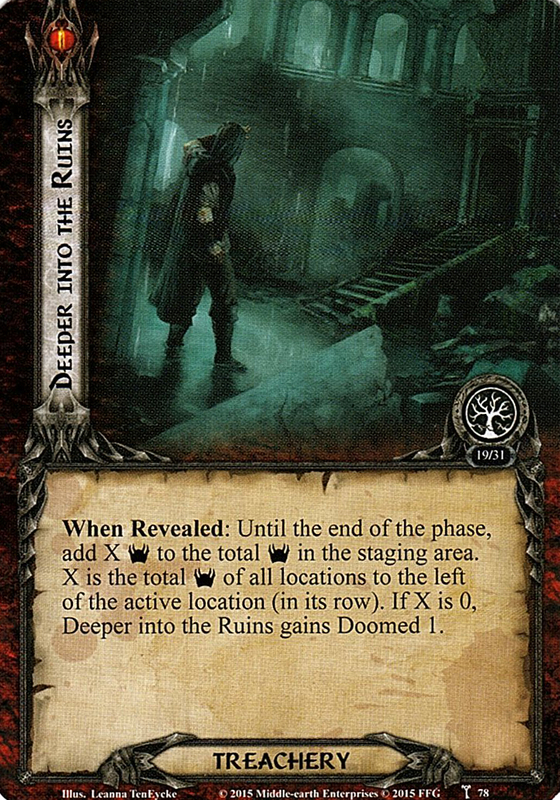 If X is 0, Deeper into the Ruins gains Doomed 1.